The box has stood on the shelf for many decades and has the worn patina that only time and the process of entropy can bring. The plastic lens is still good, if a little dusty on the inside. 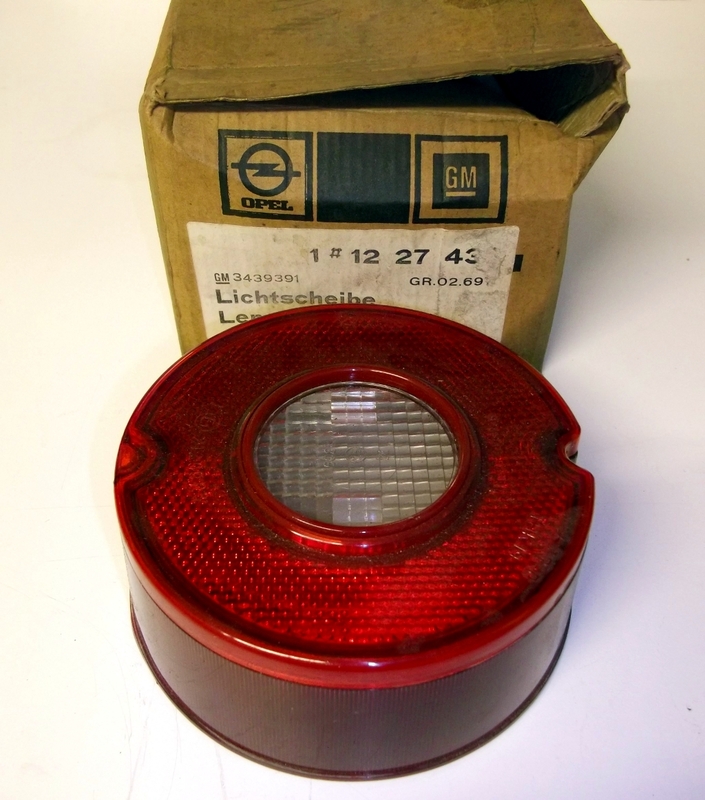 This is the very last of the New Old Stock for these items, but I do have a few salvaged Opel Manta A series lights still left in stock.